Sam’s Barber Styling Shop is an “Old Fashion Barber Shop” with a modern twist. We specialize in clipper haircuts, which consist of regular haircuts – tapered, rounded or blocked off, flat tops, fades, crew cuts, high and lights or whatever is in style at the moment! We layer cut hair, trim beards and mustaches, and do hot lather ace shaves. The Barbers will shave around your ears and neck, with hot lather, after our clipper haircut! We have been in Business for over 50 years and we give you that “Old Fashioned” haircut and Barber Shop Feel. Located in Palo Alto,Ca we are in a great part of town with a lot of history.We give lollipops to kids free with a haircut. So come on down to Sams and enjoy that “Old Fashioned” haircut with a smile. Haircuts in barbershop – this is exactly and skillfully selected individual style. 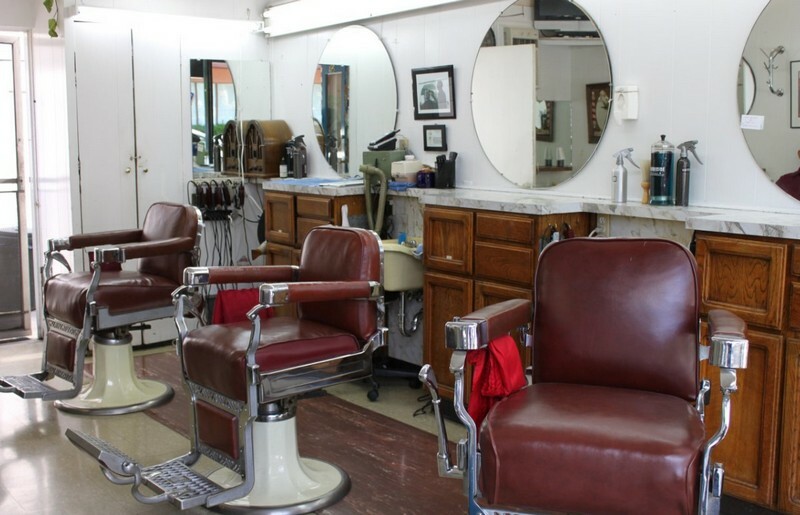 In the Sam’s Barber Styling Shop, professional lines of beauty and grooming products are used, High level of service, Comfortable atmosphere, which sets the right mood and character. Masters of the salon professionals having their own style.